Sailing the Mediterranean was an adventurous journey I would recommend over and over again. If you were to ask Mike, he would tell you this was by far his favorite adventure. Santorini is surrounded by water, mountains, and volcanos. 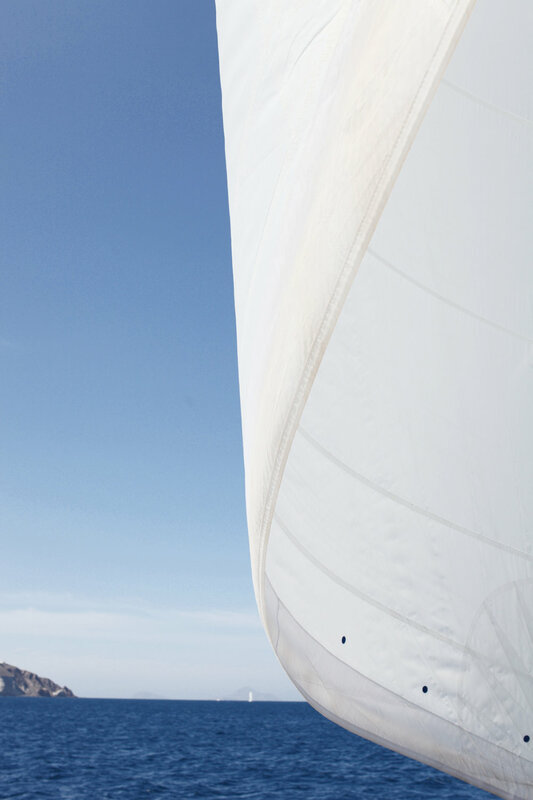 Sailing allowed us to see a whole new side of Santorini. Our captain made several different stops for us, allowing us to swim to hot springs, snorkel and explore in the coves! Disclaimer: the water was sooo cold! Every time Mike got back on the boat his lips were purple! I had never in my life experienced or seen a cove, they were oh so beautiful the deeper you swam in them the clearer the water became. I literally felt like I was swimming in a swimming pool. The next day we visited Kamari Black Sand Beach, it was stunning to see mountains and the beach all in one scene. The sand was like tiny little rocks, I took my shoes off expecting it to be soft but it hurt to walk on!